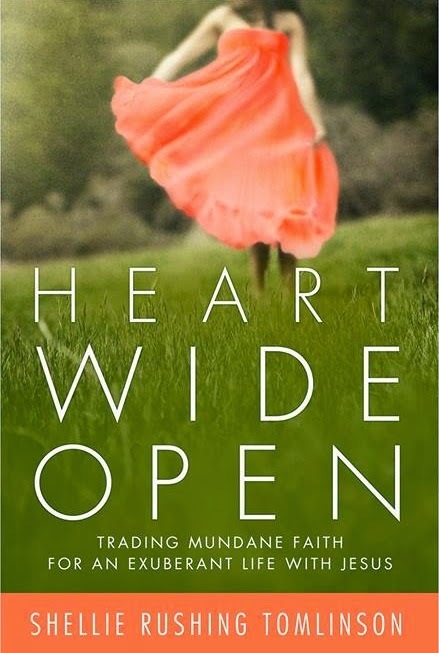 I am very excited to announce that Heart Wide Open: Trading Mundane Faith for an Exuberant Life with Jesus by Shellie Rushing Tomlinson has been released today! 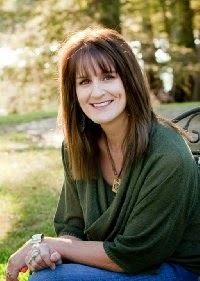 Shellie is the Jesus loving author, speaker, and radio host known as The Belle of All Things Southern. Based in Lake Providence, Louisiana, Shellie hosts a daily radio show that is broadcast on twenty-eight radio stations & a weekly video segment that streams live. She has also written several books, including Sue Ellen’s Girl Ain’t Fat, She Just Weighs Heavy, which has been endorsed by Jeff Foxworthy who called it "laugh out loud funny!" Heart Wide Open chronicles Shellie's quest for something more than routine faith in God. With a yearning to love God with a genuine, all-consuming passion, Shellie details how she got honest with God & asked Him to help her love Him as deeply as she wanted to. 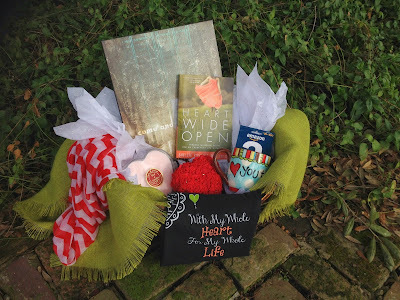 On the book jacket, it says that in Heart Wide Open, Shellie invites you to answer the call of your restless heart & refuse to settle for anything less than the intimate friendship of God. This book spoke to me on many levels. I have worked hard, and often times struggled, to have a deeper connection to God. I want to be a "good" Christian, but we all know that can be difficult with so many distractions. I find it easy to spend an hour every morning catching up on Facebook, but have to force myself to make time for a five or ten minute devotional reading. In turn, that makes me feel guilty. But we have to take the first step that Shellie took & that's to ask God to help us love Him as we should & as we want to. He is always there to answer our call & guide us in our quest to open ourselves up to Him. Shellie points out that scripture assures us that God loves us not because of who WE are, but because of who HE is. We don't have to wait for the afterlife to begin living with God. By pursuing & enjoying a fulfilling relationship now, we greatly enhance our life her on Earth. I love that Shellie is completely honest in how she struggled for years to love God fully. I also liked that she compliments her commentary with scripture throughout the book. If you are looking for a book that will help you grow in your faith, but speak to you on an easy to understand basis & one that's easy to relate to, this is the book for you. It would also make a great gift for just about anyone! If you happen to be near Winnsboro, Louisiana, Shellie will be at Every Occasion for a book launch & signing today (March 18th) from 3-5:30pm. Be sure to like All Things Southern on Facebook for more information! • A beautiful wallboard inscribed with these words from the Song of Solomon, "Come and awaken love and when I find him I won't let him go." • A beautiful coffee mug bearing this sentiment, "Heart you to the moon and back." Winner will be chosen April 1st. Contest open to US residents only. Enter via the form below or by clicking here for the entry form.